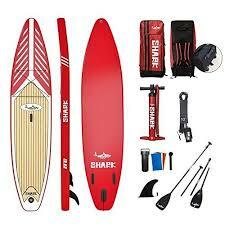 The White Shark 10’6 Touring board delivers best in class glide, tracking and speed. Perfect for light to mid weight SUP users wanting a compact and durable board. A center soft handle makes this board easy to carry to and from the water. The White Shark 10’6 Touring board delivers best in class glide, tracking and speed. Perfect for light to mid weight SUP users wanting a compact and durable board. A center soft handle makes this board easy to carry to and from the water.